The low fare airline suited us greatly for a four-day trip in the capital of the EU. 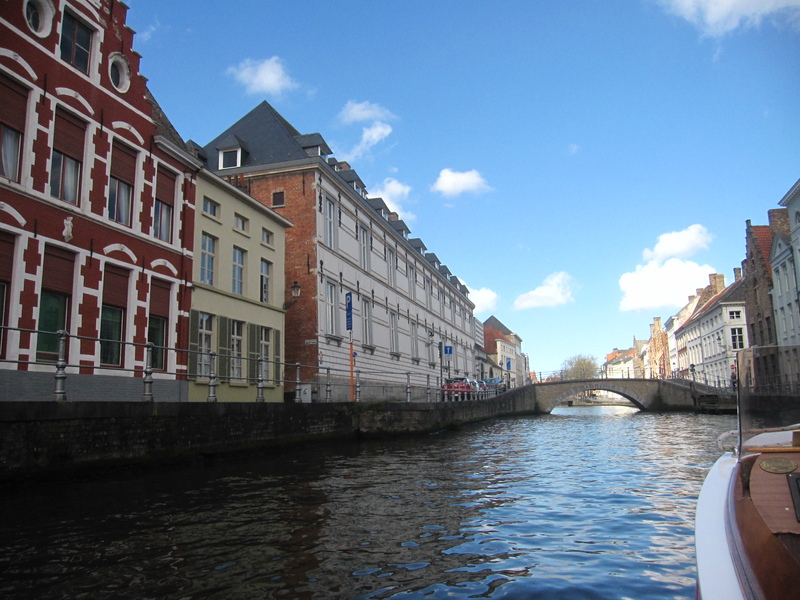 What started as an idea 5 months ago to …reconvene a decent number of trips per year in destinations around the world, materialised as a nice four-day trip to Belgium. Flights and hotel were once again booked through a very sophisticated process that took the two of us back less than 500 Euros – and the cost could have easily been squeezed down to almost 380 Euros for two people (Air tickets=160Euros and hotel for 70Euros per night=210 Euros) if we were to fly one week earlier. 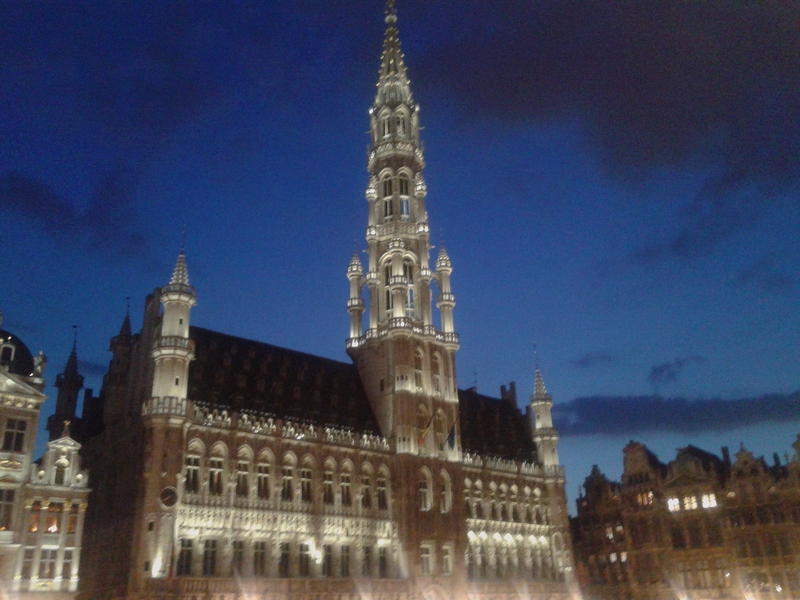 I had travelled to Brussels for a one-day meeting on a e-Mobility meeting (it may ring some bells for those in the EU and telecoms) back in 2005, but I have to confess I vaguely remember anything apart from Grand Place, the EC building and a couple of cosy beer bars! 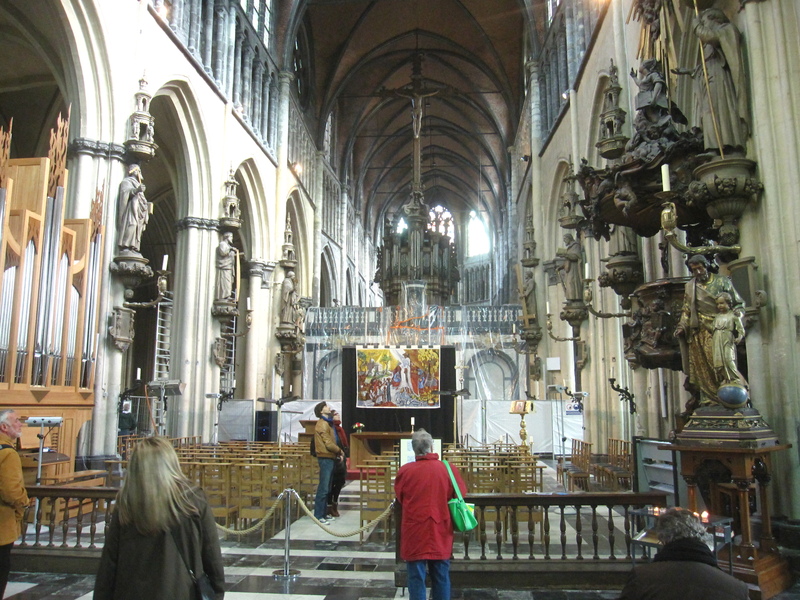 Our flight landed at Charleroi at around 22.45 and after a swift process – we only had hand-luggage – we boarded the shuttle bus (Brussels City Shuttle operated by Flibco) and made it to Brussels Midi just after midnight. The train station looked and was deserted and after a hopeless process of trying to get acquainted in a 15-minute crash course with the public transport system in Brussels to see how to get to Grand Place, we decided to just…take a taxi. 14 euros less rich, we made it to Grand Place and then to the hotel. We checked in, had 10 minutes of relaxation and decided we were to stay there too few days to just go to sleep. We were suggested a beer bar and walked directly there. The name was Delirium. Even though my tourist-sniffing nose was telling me it was probably a place for … tourists and some expats, we did not mind that much. 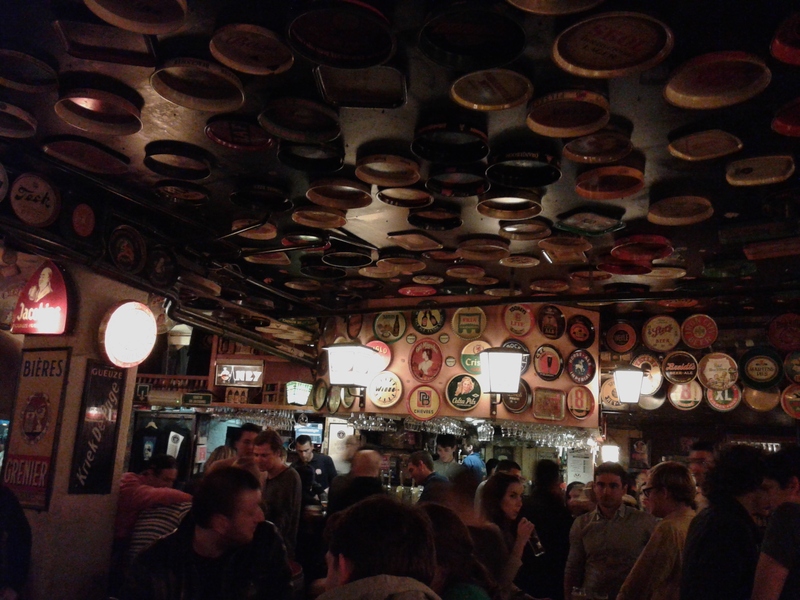 The decoration was pretty impressive as on the walls and ceiling numerous beer brands were portrayed. If you could not pick a beer, and believe me they say there are around 2000 brands to choose from, you needed no menu – you just had to look around and just pick a name from the walls or ceiling. We picked randomly some beers and enjoyed the first night in Brussels before going to bed at around 04.00. 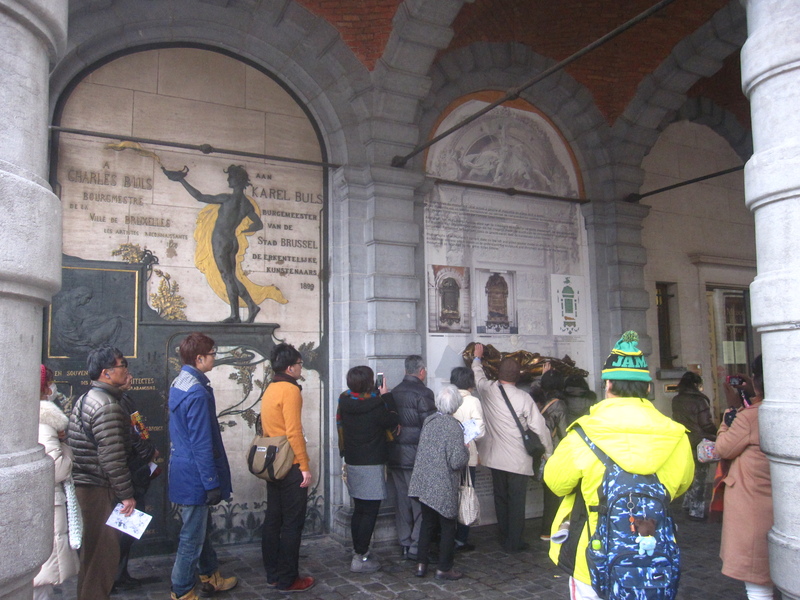 The first day was dedicated to Brussels. 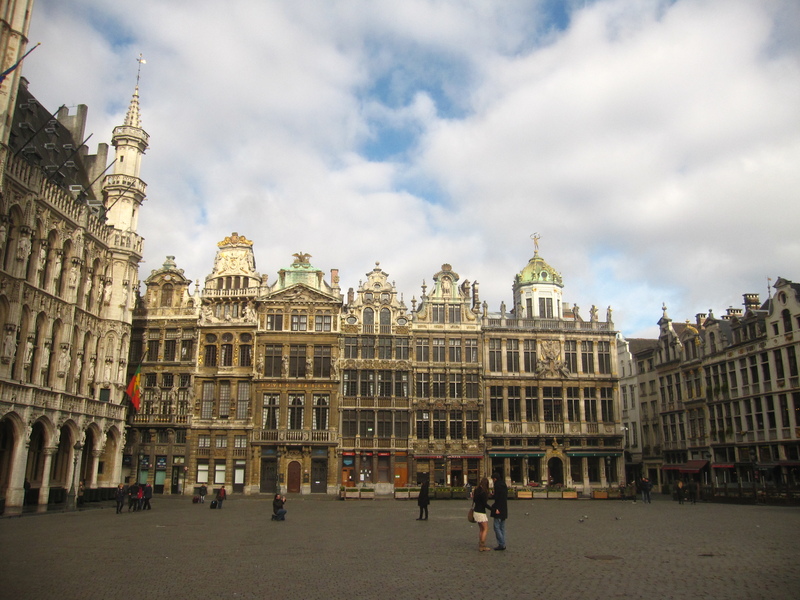 We walked around Grand Place and saw the city waking up. Of course the whole area around the main square is extremely touristy, but still you can get a sniff of the everyday life of Brussels. 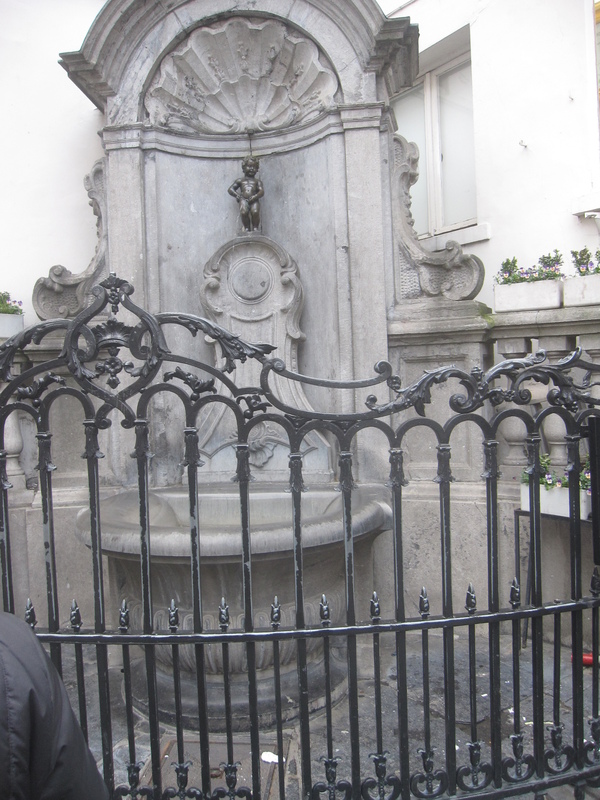 We checked Manneken Pis and decided that sometimes even from the weirdest or funniest or most underrated or silly stories, tourist attractions spring up. Not my piece of cake! After another walk in Grand Place where we swiftly escaped a tsunami of Japanese tourists photographing and touching Everard ‘t Serclaes statue that supposedly brings luck to those that touch it, (I guess our faces may have travelled to Japan into more than 100 SD cards) we opted for the Visit Brussels discount card and then moved eastwards. The sun was already up in the sky, the clouds had almost cleared from all around and a nice, warm and glorious sun made his appearance. It was going to be great day! We walked all the way to Place de l’Albertein and started climbing the slightly hilly passing through Jardin du Mont des Arts. We got some pretty nice pictures and then continued to Place Royal after checking out the Museum of Instruments which we agreed it would be worth visiting. We then spent a good two hours in a … museum complex which I still haven’t figured out if it is one museum or different museums. 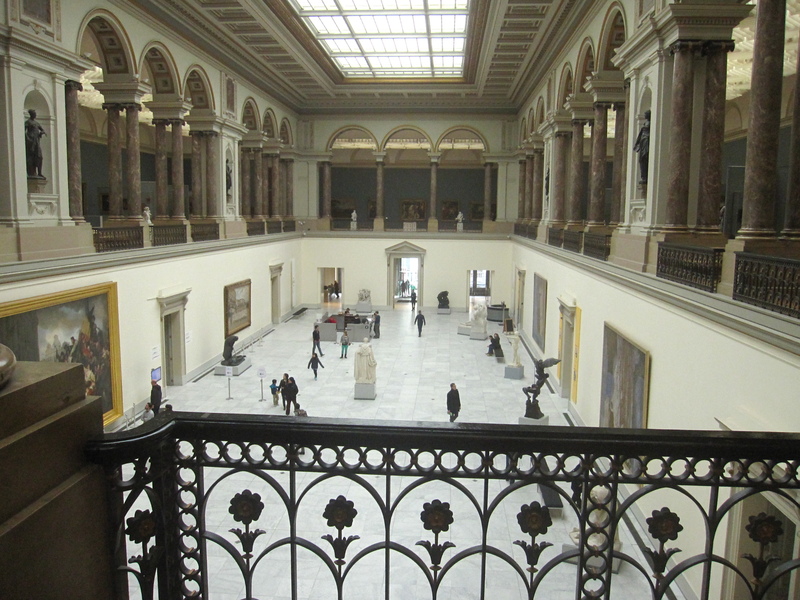 We entered the Royal Museums of Fine Arts and then we checked the numerous sub-museums within it. 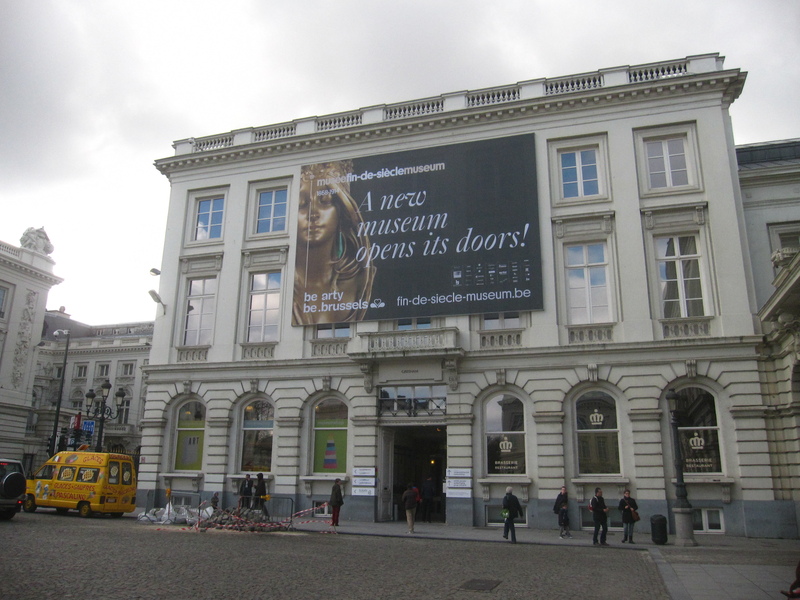 Then we moved ourselves …seamlessly to the Magritte Museum and then back again to the … BOZAR! As always in order to appreciate properly such museums you need to a/ spend at least a month of pre-reading about the artists b/ spend at least a week slowly going around the paintings or sculptures c/ – and of grave importance, indulge yourself in the most abstract forms of art by pretending you understand everything. I do have several reservations about art, but after all, art is so non-deterministic so I will stop here… or almost here. The museum is in anyway a good trigger for discussions. 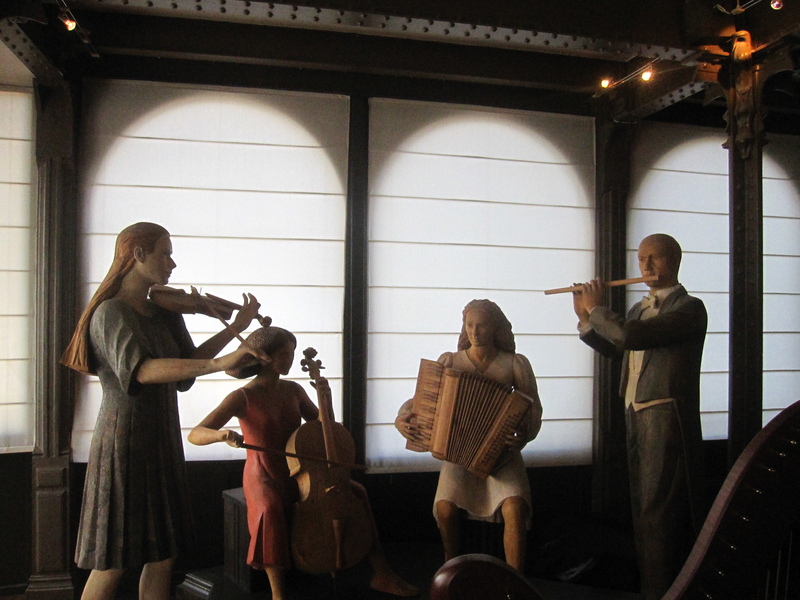 Even if such art is not your piece of cake, it is still a chance to spring up discussions about … art. 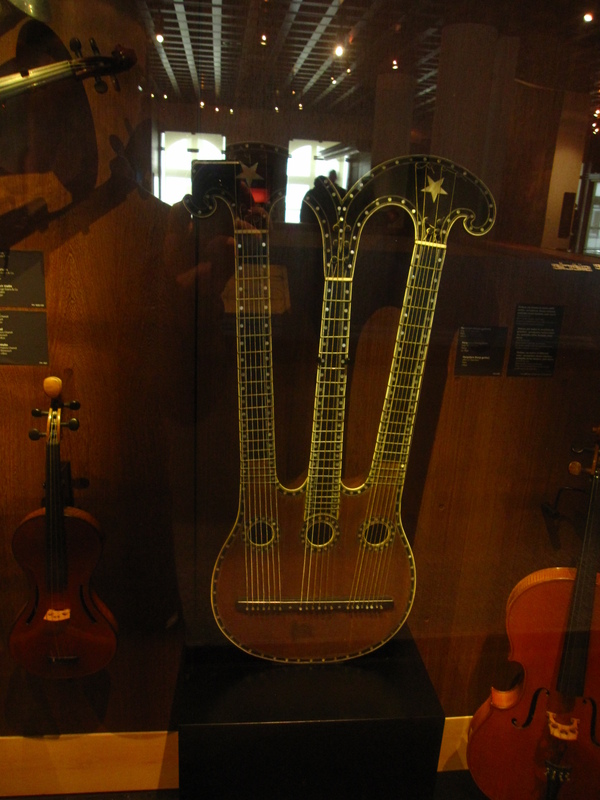 After deciding we had spent too much time on paintings, we checked the Museum of Instruments. One can get great views of the city from the top veranda, especially on a nice day and if you are feeling a little bit peckish you can try the unpretentious restaurant on the same floor. On a nice day get a table on the veranda and you can easily spent 3 hours drinking beer and dozing under the burning sun! The museum had a couple of exhibitions which were pretty interesting. 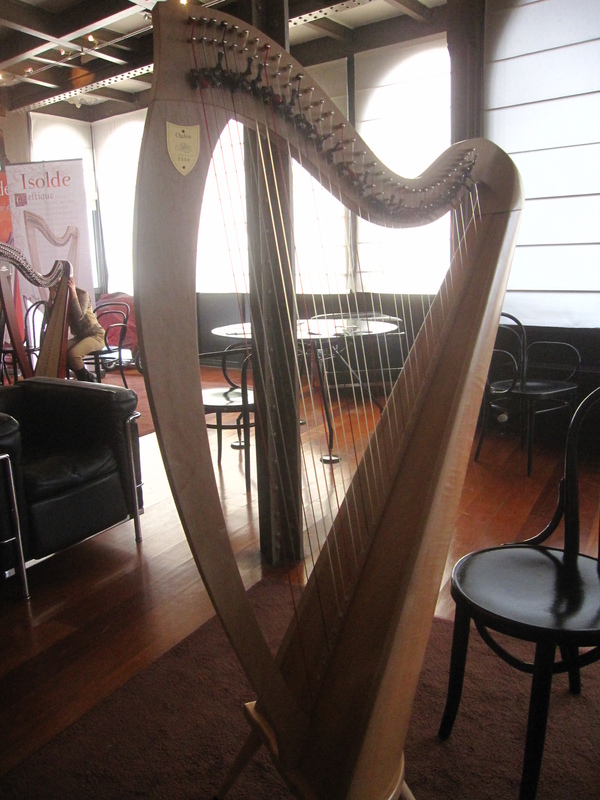 We also had a good treat when we joined a session of harps practicing. We spent there around an hour, but I guess if you are an architect you can easily spent more time there because the whole building is like an MSc degree on Art Nouveau portraying an exquisite marriage of steel and glass! The first half of the day could be characterised as sophisticated, classy, stylish … or arty-farty I would say. The second part had to be all about fun! 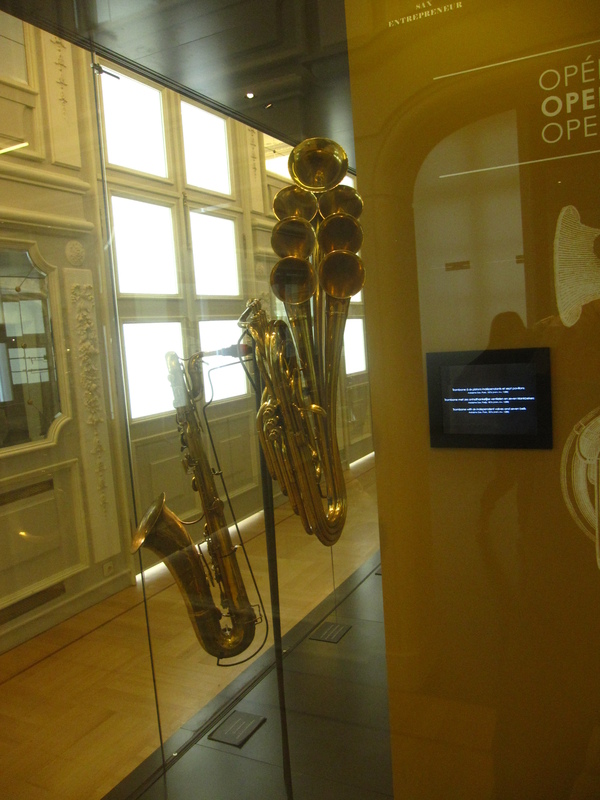 After the Museum of Instruments, we got a sandwich and then the metro took us to Heizel station. The first stop was Mini Europe. 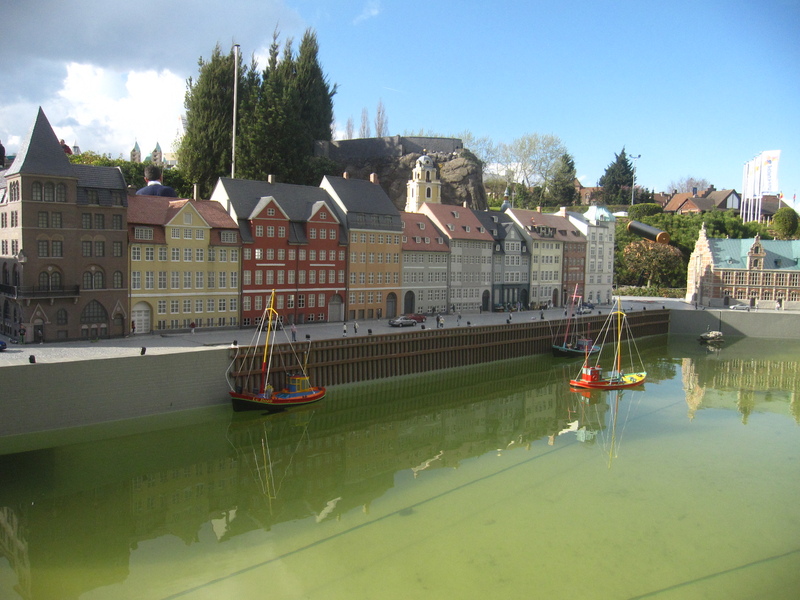 It seems that Benelux countries have a weird affection with miniature parks of replica buildings. After having visited Madurodam in The Hague last summer, it was high time to see a similar one. Madurodam was all about buildings and sites in Holland. 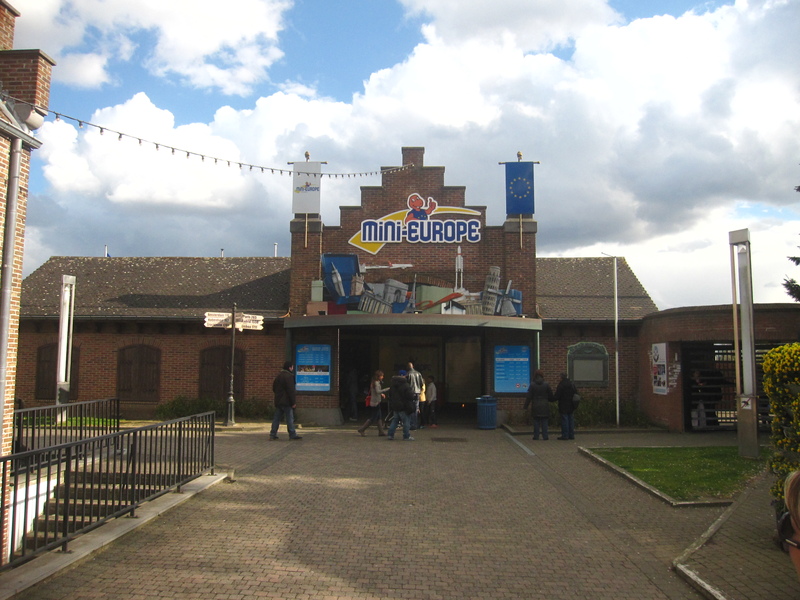 Mini Europe was all about famous landmarks and sites from all European countries. The philosophy was the same and many of the…sites were fantastic. 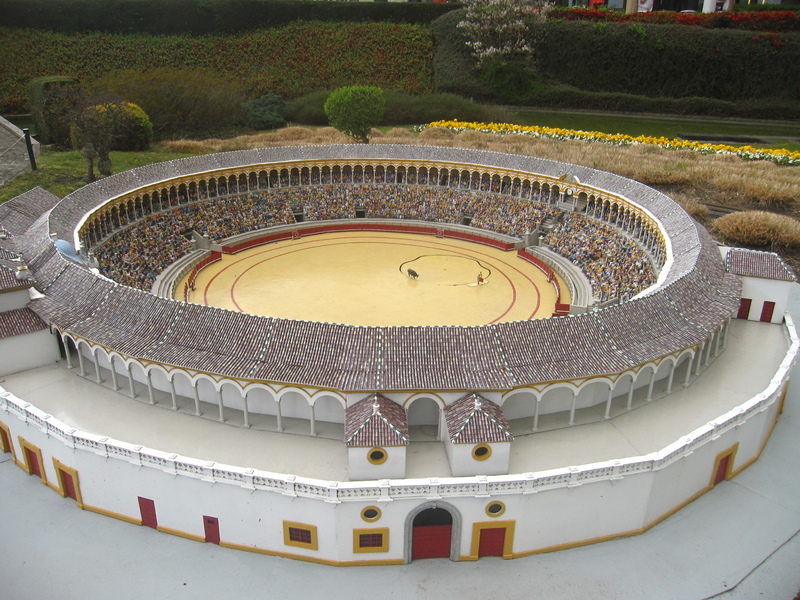 If one took a photo from a close distance one could not tell the difference if the site portrayed in the photograph was the real site or the Mini Europe replica. I said once again I need to take my kids along the next time I visit one of such miniature parks. One can spend easily 3-4 hours going around and having a bite or a drink – a great feast for kids. 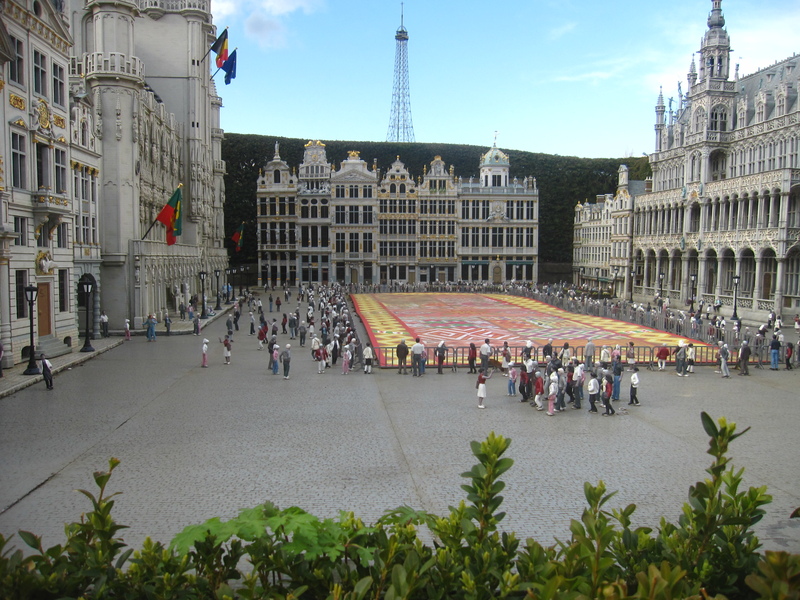 If you are in Brussels primarily for kids I would suggest trying not just Mini Europe but Bruparck, a large amusement park – part of which Mini Europe is – composed additionally of other three attractions which are The Village, Kinepolis and Oceade. 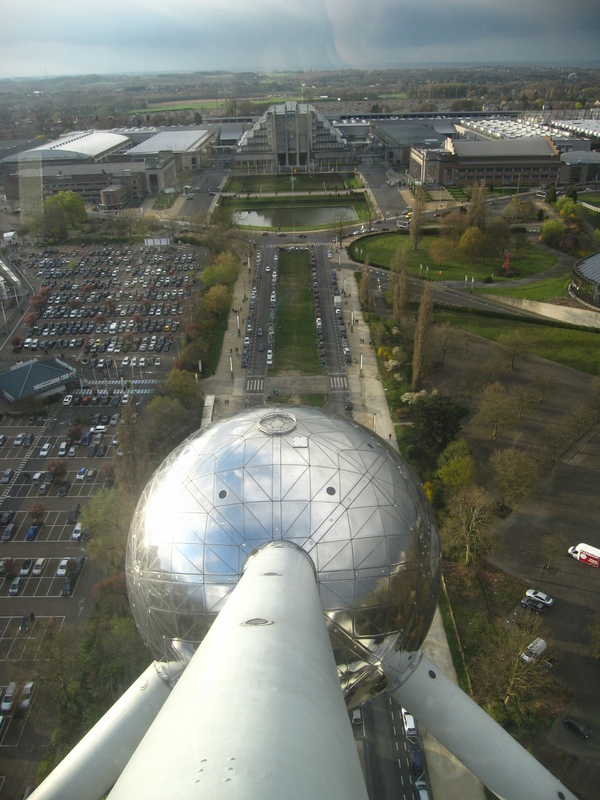 The next and final place to visit for the day was Atomium! I vaguely remembered from my last visit any interest in visiting Atomium, but I have to say that if you haven’t developed an interest about high rise buildings, maybe you will find it boring. 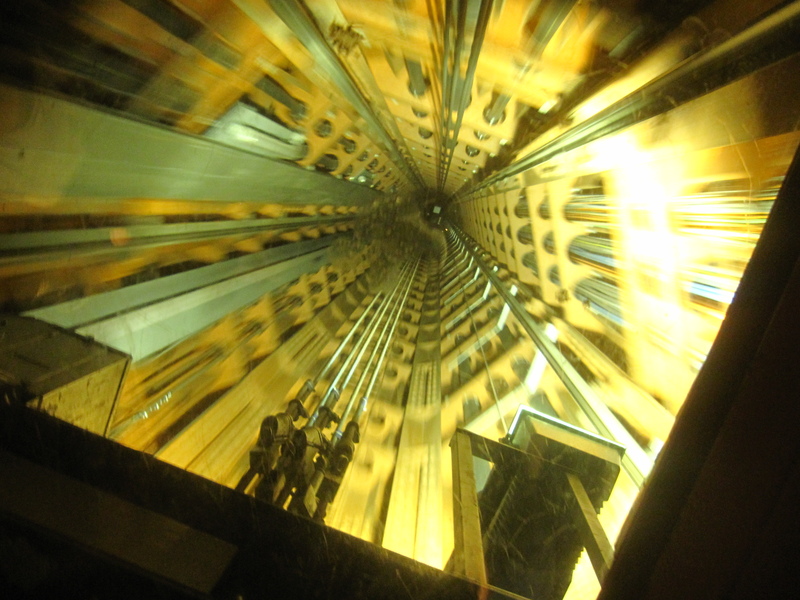 Some might say it has nothing special, some might say it takes ages to queue for the elevator and go up, some might say it takes ages to go down. 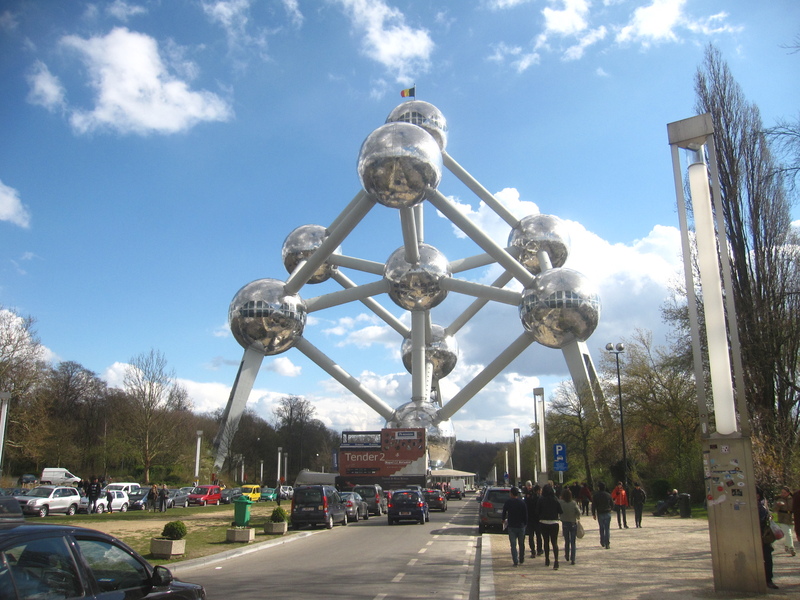 The truth of the matter is that Atomium is a landmark building and is worth a visit, even if you want to just get a 20-minute coffee and just see the city from above. It is really impressive when standing below it and I would sincerely suggest you visit it. 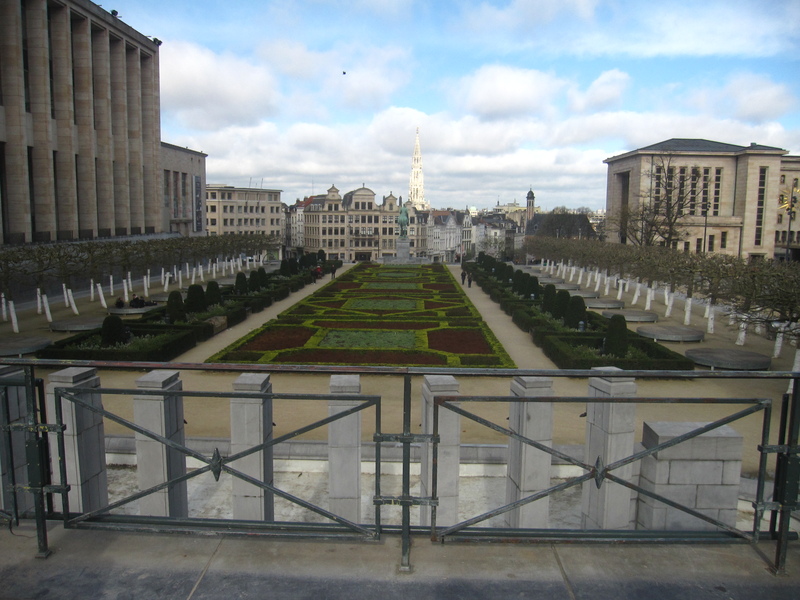 Make sure that you arrive early (it is open every day between 10am-6pm) not just to avoid the queue, but because it is the best time of the day – provided there is sunshine – to enjoy some great views of Brussels. After finishing with Atomium we decided to take the local bus that would get us downtown. Just outside the Metro we took the bus and it was fun to enjoy a bit of the Brussels suburbs! 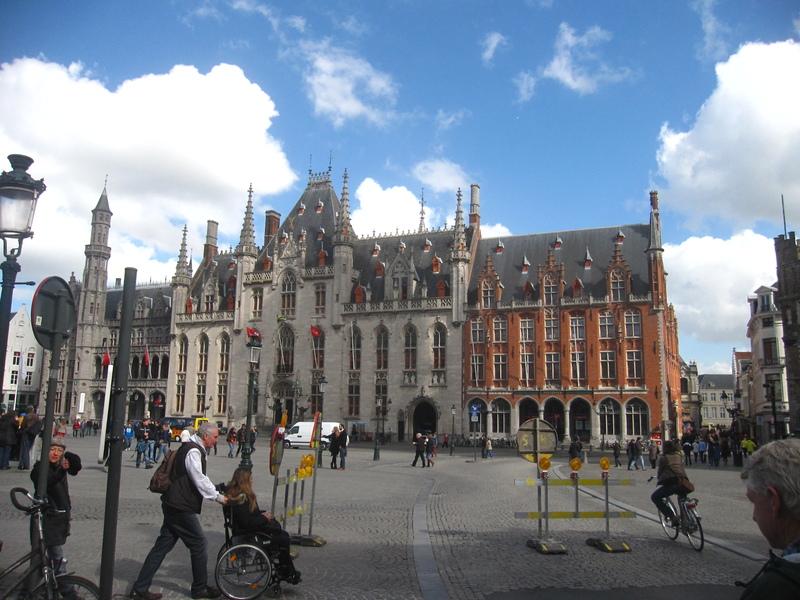 Once downtown, we walked between St Catherine Square and Grand Place and then decided it was high time to have dinner. 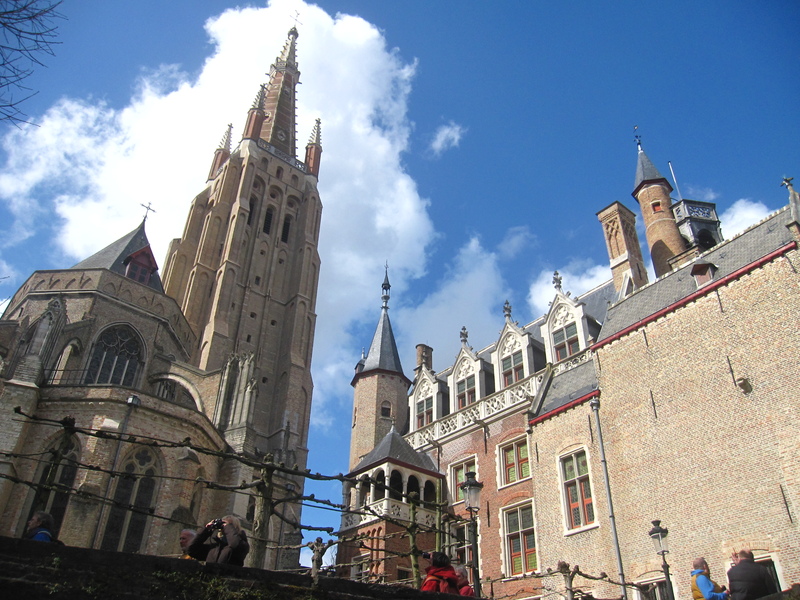 As we just could not bother to find anything 100 meters outside the periphery of Grand Place we probably chose one of the touristiest spots around and tried to order something…local and special. I cannot say I went crazy by the taste and judging with the 40 Euros we paid per head, I thought it was extremely expensive for what we got in the end. Our night ended with some more drinks in a…randomly chosen local beer bar called Delirium! The second day it was all about Brugge. 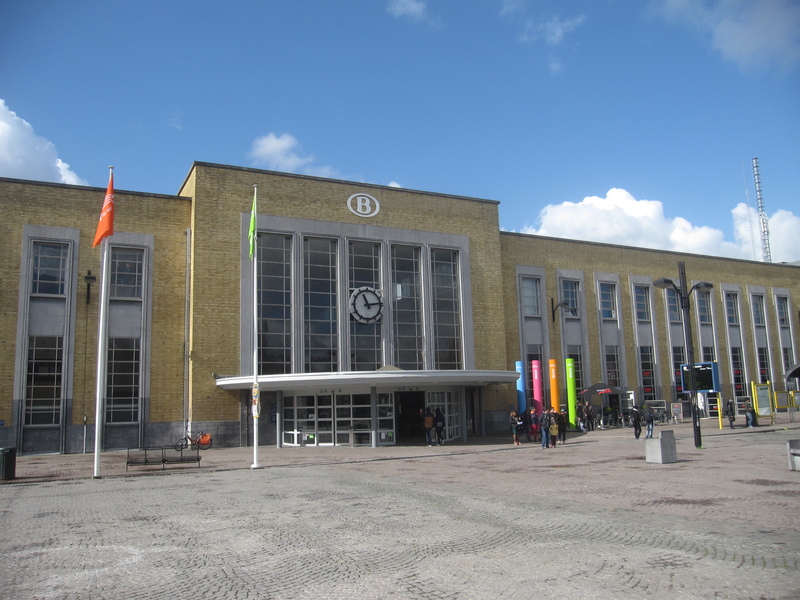 We took the train from Brussels Central Station and in an hour we were there. Disembarking from the train, we gladly accepted city maps that were offered for free and followed the crowd. 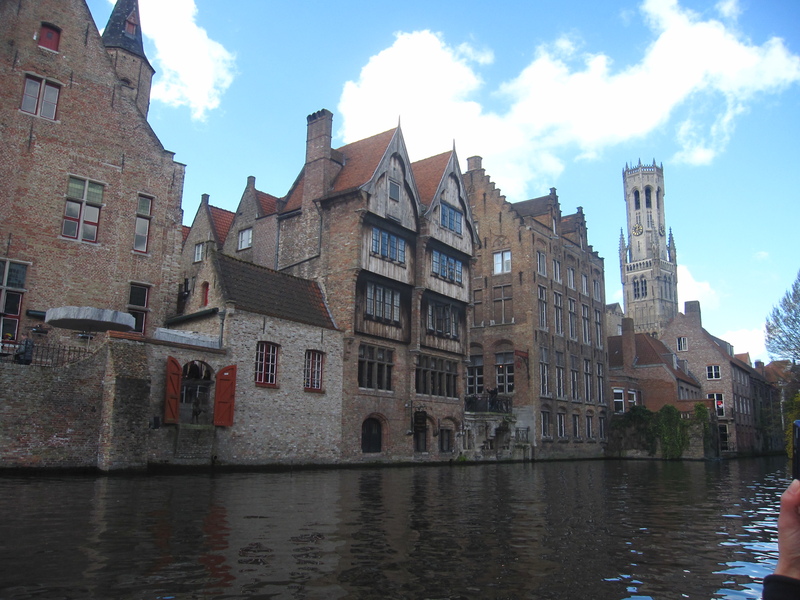 Brugge is an utterly beautiful city. Once I stepped in the centre I thought I was transported into another era and immediately I thought we should have spent at least one night there instead of sleeping in Brussels. 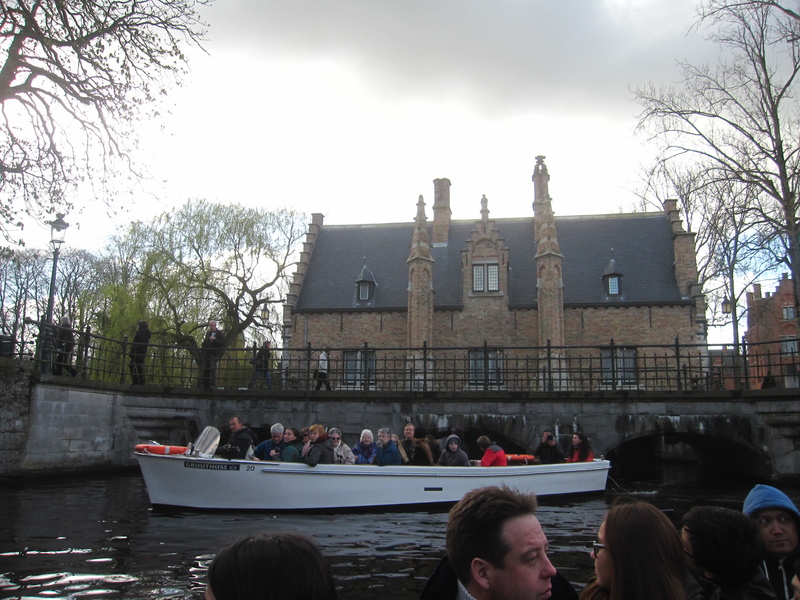 The first thing we did, apart from checking a couple of chocolate shops, was to try the famous boat trip that gives you a first impression of the city from the magnificent canals. It also helps to get your bearings right for the later walking experience. 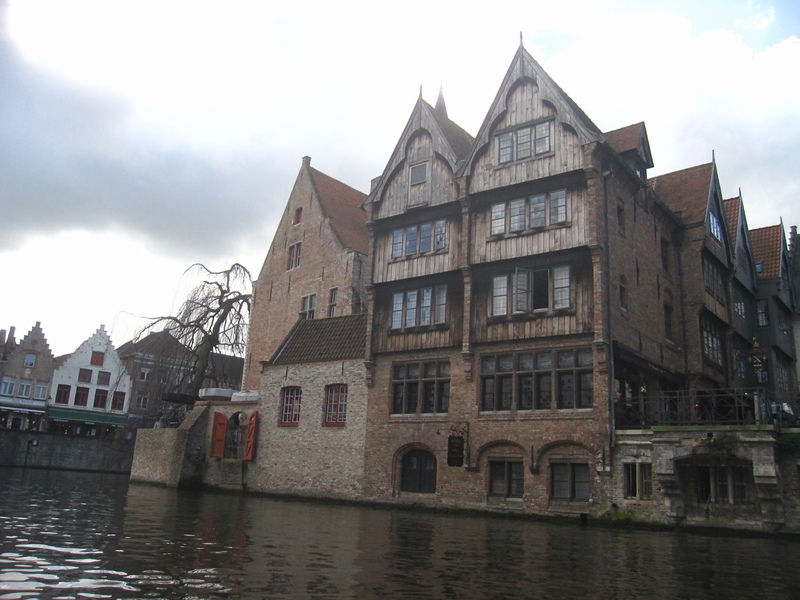 It is no surprise Brugge is called the “Venice of the north”. 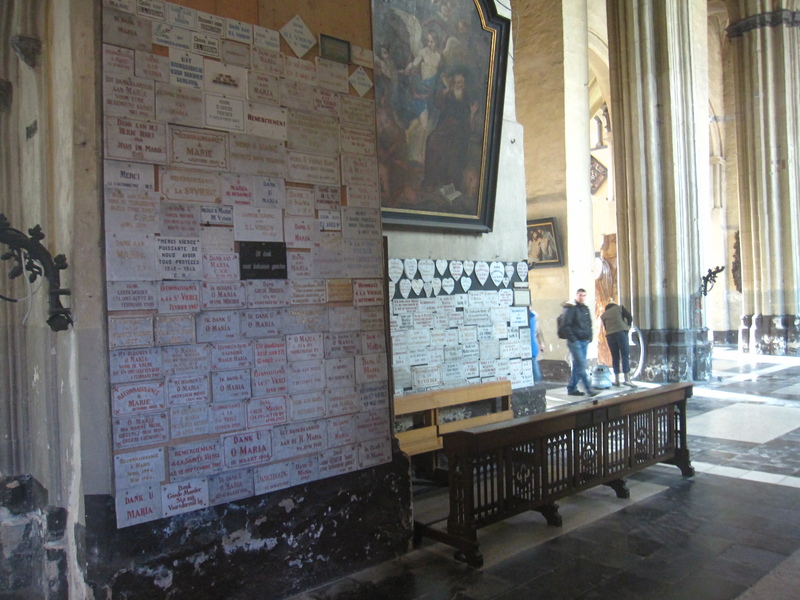 Of course the “what to see” things are in the main centre, but the surrounding areas are also worth paying a visit. 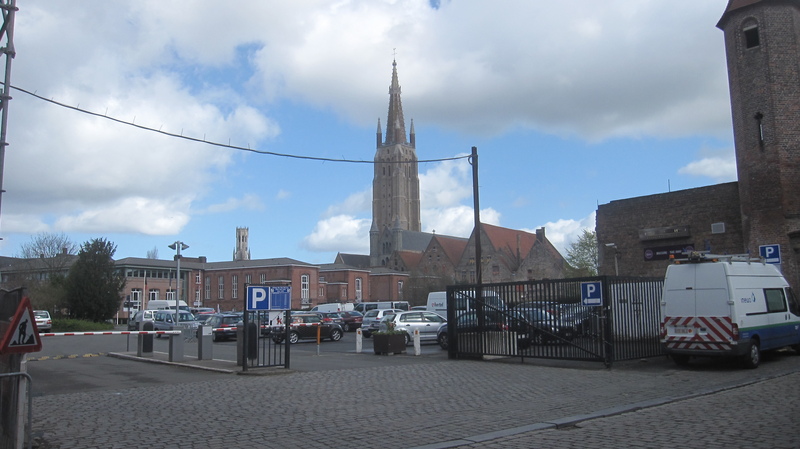 On the way to the city centre one can visit the Church of our Lady and St Saviours Cathedral. 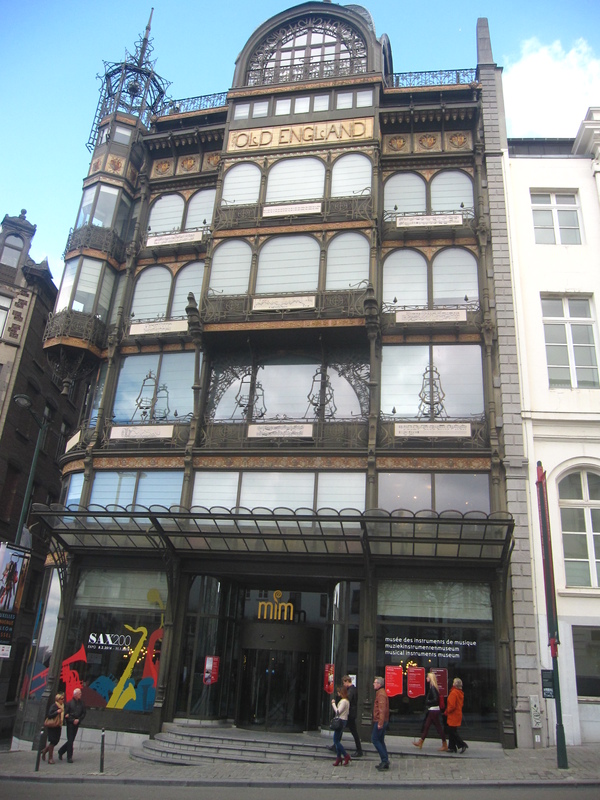 Then walk the Steenstraat, which seems like the High Street for shopping and you arrive in glory through myriads chocolate shops in the main square, the Markt. Of course you can stop for a bite or a coffee in any of the coffee shops or restaurants, but they all seem too touristy. 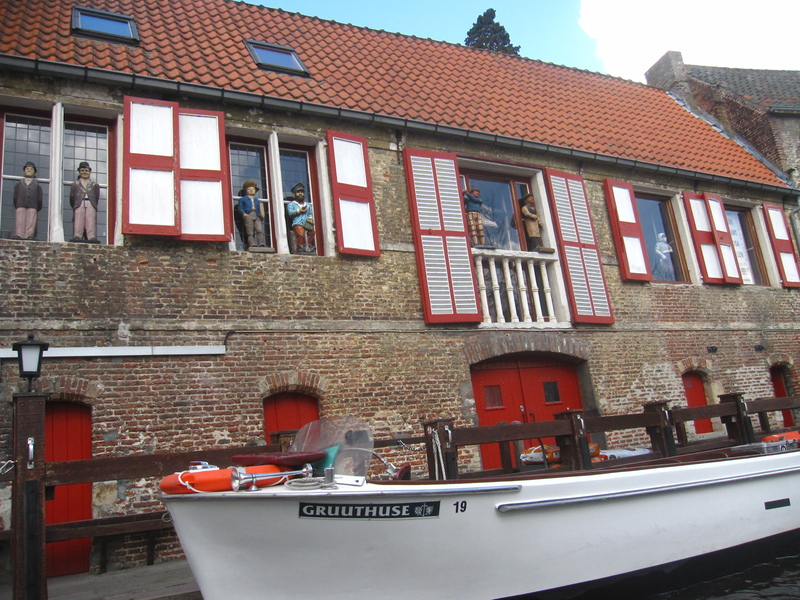 So, continue through Briedelstratt to the Burg and then take RozenHoedkaai and all your way back to the Church of or Lady. 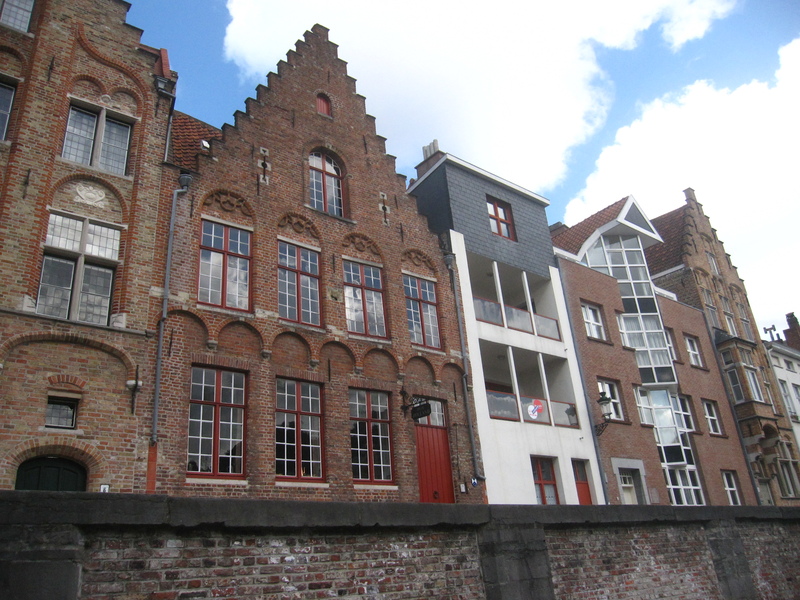 Then take Goezeputstraat and walk in the small alleys and streets on the west side of the centre. There is a beautiful, cosy and quiet pub (De Zandloper) where you can sample ..what else, the beer! Then it’s time for chocolate. 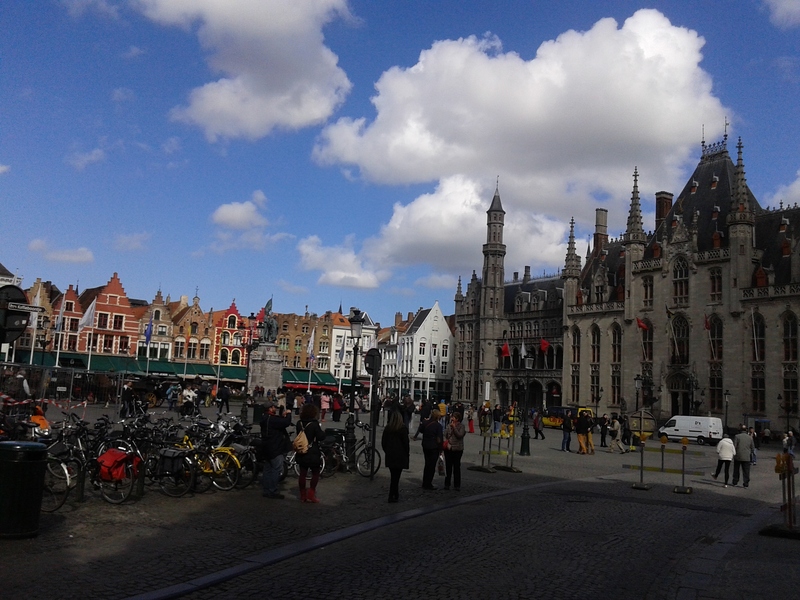 Probably 30% of the shops in Brugge are related in one way or the other to chocolate and I guess at some point it may bore you either because you get to find the same chocolate all over or because you just cannot sample all the chocolate available! On our last round of the city we opted for another two great options of typical Belgian delicacies. Waffles and …patatas frittas. Not something to blow your mind off and produce mouth-watery processes, but I suggest you try them just to see that there is not something so…so…so special about them. Then and on our way to the station, as if we had not drunk any beer, we decided to try a nice brewery called De Halve Maan. There is also a 40-minute tour and you need to book in advance. If planning is not your piece of cake and you find yourself being told that there are no places for the next tour, then just … proceed to the bar and select one or two or more of the strong beers! Somewhere in between you can also … throw in a decent lunch or dinner. All these will get you back half a day. If you intend to spend more time, I would suggest a good pair of trainers and walking on the periphery of the city. It is almost a circle with radius 1 km, but the whole walking experience, with the usual intrusion in the main city can easily add up to 10-15 kilometres which means 4-5 hours. Coming back from Brugge we were feeling slightly peckish – actually we had not eaten properly since the early morning, so we only looked for a decent place for dinner. 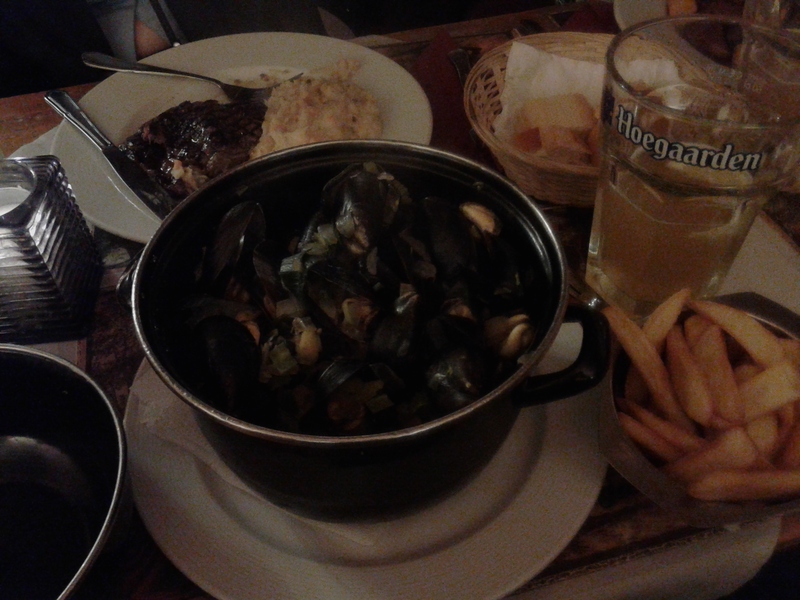 This time, and after the first day of failure with regards to the initially great-looking Flemish beef, which was no different to Irish or Bask beef, I opted for the what-a-surprise mussels option. I put aside all the reservations and I have to say I gladly did. Courtesy of the super expensive dishes we all ordered a main dish and a salad to share. For the beer it was probably a different story. The mussels were superb and I realised, after so many years of eating mussels in Belgos – a London-based Belgian catacomb-like restaurant – that the trick in the whole mussel-eating process is the fact that it takes you ages to eat them hence the negation to order anything else as you can easily feel full. A beer or two washed down the spicy beer sauce and I have to say I was really content. As a day in Brussels is not over until you finish with a beer in a bar, we populated our beer selection list with even more Belgian beer brands. The next day the plan was simple. Pack up, check out, hit the road and try to visit the European Parliament before making our way to the airport. All my co-travellers were aiming for a tour in the EP, but I guess I was the only one that was aiming for the … beer, because I had read in the internet – and none wanted to believe- that there were some construction jobs taking place which meant that tours were suspended until further notice. I smiled sardonically to myself when it was announced to us that … tours were suspended until further notice. We took some photos, entered the Parliamentarium which was packed with middle aged tourists, decided in a split of a second we don’t want to do this and then after a short walk around in the EC shop we decided to drink some goodbye- beer under the almost blazing sun, for the Belgian standards! It was the best Brussels we could have asked for and the best last day we could have wished for. Content with our beer, we actually drank two of them, we took the bus slightly dizzy courtesy of our empty stomachs and made it to Midi station. The shuttle bus took us back to Charleroi. We spent only 30 minutes in the not-so-big, but packed Duty Free and took our flight back home! It was a great long weekend. It was a four day trip to Brussels full of beer, beer and beer.